Indeed, traces of greasy, cleaners and rinse aids, have a bad effect on the beer foam and they can also affect the flavor and aroma of the product. For the Malastrana glasses the following cleaning is recommended: rinse with cold water, wash intensively with the Spüllboy brushes and a specific cleaner, rub the edge and the bottom of the glass with a sponge used just for this purpose; finally, rinse with substantial amount of cold water. To allow the proper ventilation and prevent from bad smells or dust inside the beer glasses, it is advisable to store them upside down on a plate rack. 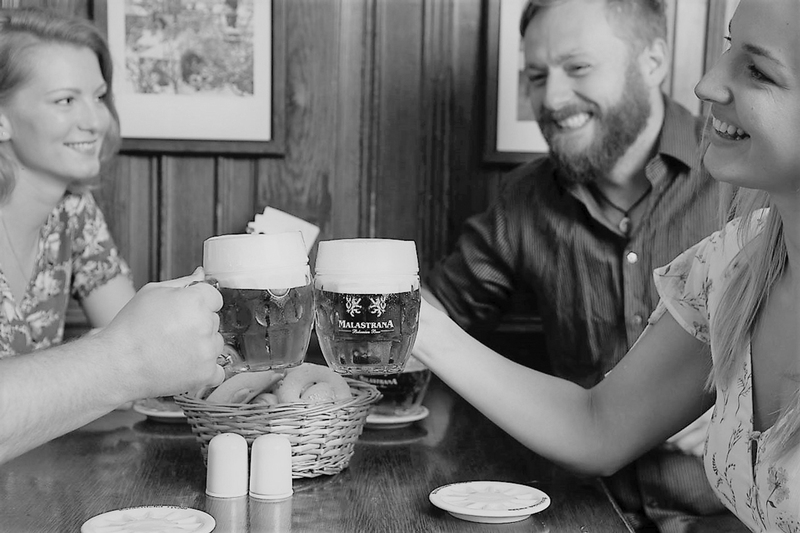 A clean glass is the essential basis for a perfect beer tapping, before which it is recommended to use a glass rinser, useful to prevent the thermal shock and, at the same time, simplify the beer sliding into the glass. Thus it contributes to maintain a solid and creamy foam for long time. Glass cleaning, first step towards #therightdraft. The new Malastrana draft tower with a turning tap catches your eye with its timeless design and flawless function. In a skillful hands the draft tower turns into a magic tool leading to a great result; freshly tapped, properly chilled beer Malastrana with compact, thick even creamy foam and medium carbonation. When tapping the beer from kegs we use N2 and CO2 as a compression medium. 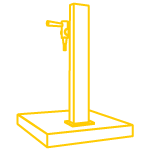 Straighten the glass and close the tap before the foam reaches the glass edge. Do not leave the tapped glasses under the faucet, to prevent further drops from falling into the foam and modifying the result. Another essential procedure of appropriate tapping is regular cleaning of the draft beer towers and all of beer pipes to avoid contamination. Daily cleaning procedure should consist of rinsing the spike of the tap, the hitcher and the tap with cold water. Wash carefully the filling heads with clean drinking water and a special brush. Fill the spike with cold drinking water after you finish tapping (we recommend the pipes to be filled with water until the beginning of the next shift).